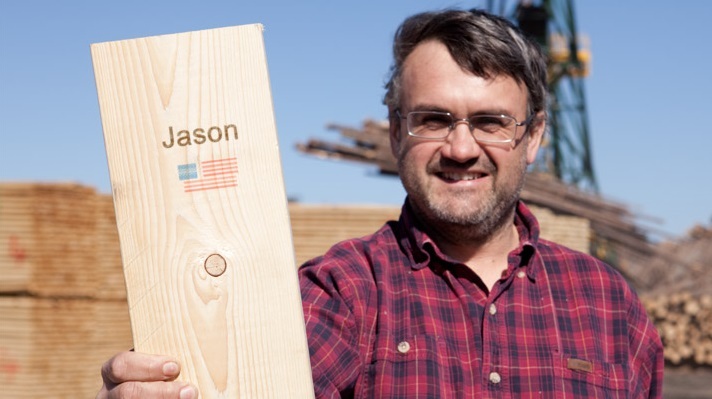 Laval, QC – UNIBOARD, a North American leader in engineered wood products, announces today that it has launched NU Green SOYATM , a revolutionary new particleboard at the International Woodworking Fair® (IWF) on August 20th – 23rd 2014 in Atlanta. As the industry expert in Thermofused Laminate, Uniboard amazed the market last year by introducing the first synchronized texture in the North American panel industry, called Woodprint Technology®. This year, Uniboard once again sets the standard by introducing the first ever wood particleboard using a naturally renewable resin system straight from nature. NU Green SOYA is a proven soy based adhesive technology which makes this product the most eco-friendly particleboard on the market. « At Uniboard, we believe that environmental stewardship is not just about the future, it is also about the present. It was a priority for us to meet the growing demands for environmentally friendly products » said Don Raymond, Vice President. This eco-friendly product is manufactured using a process whereby no formaldehyde is added resulting in a product that exceeds CARB Phase 2 standards. The NU Green SOYA NAF / ULEF is FSC® certified (Forest Stewardship Council®), ECC certified (Eco-Certified CompositeTM), contains 100% recycled and recovered wood pre-consumer fibers and can help you achieve LEED® points. In addition, don’t miss the 2014 TFL preview of our newest color offering coming out this fall. 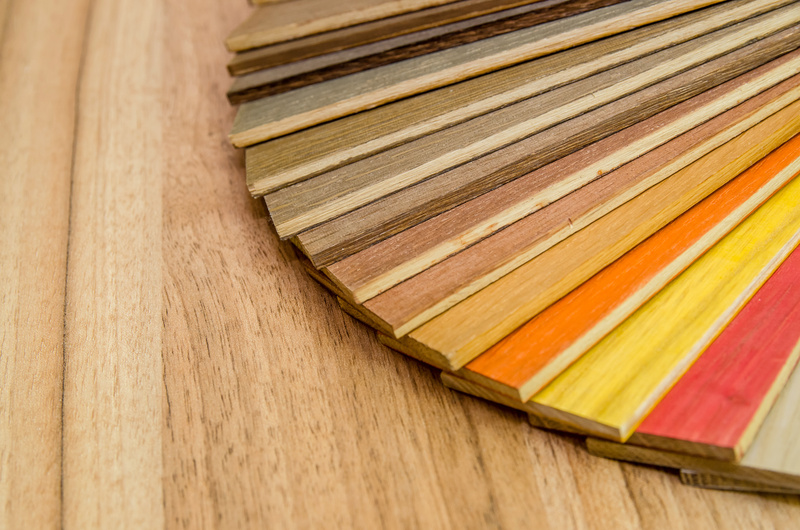 The “2014 IWF TFL Preview Collection” featuring exciting and fresh color trends was developed with the Aura, Brushed Elm and RIO® finishes in mind. Uniboard introduces Blackwood (H74), Cocoa Bean (H73), Ginger Root (H72), Tundra (H75), Driftwood (H70), and Memento (H76). These unique, stylish and innovative new colors will bring a breath of fresh air to every creation and design. By discovering Uniboard’s newest thermofused laminate collection, you will never look at TFL the same way again! Uniboard is once again setting the standard and raising the bar to be the industry’s reference in design, trends and innovation. Uniboard was at booth #2019 at the IWF fair where the biggest names in the industry could be found. Uniboard Canada Inc. is a leading North American manufacturer of engineered wood products, with installed capacity of over 640 million square feet of raw particleboard, high-density and medium-density fiberboard, of which over 50% is converted into value-added melamine and laminated flooring products. Its products are sold to retailers, distributors and finished goods manufacturers, which cater to the kitchen cabinet, furniture, the renovation and construction industries, as well as to the floor covering industry. More information at: www.uniboard.com.